Every January, we present a unique 5K experience in conjunction with the North American International Auto Show (NAIAS). 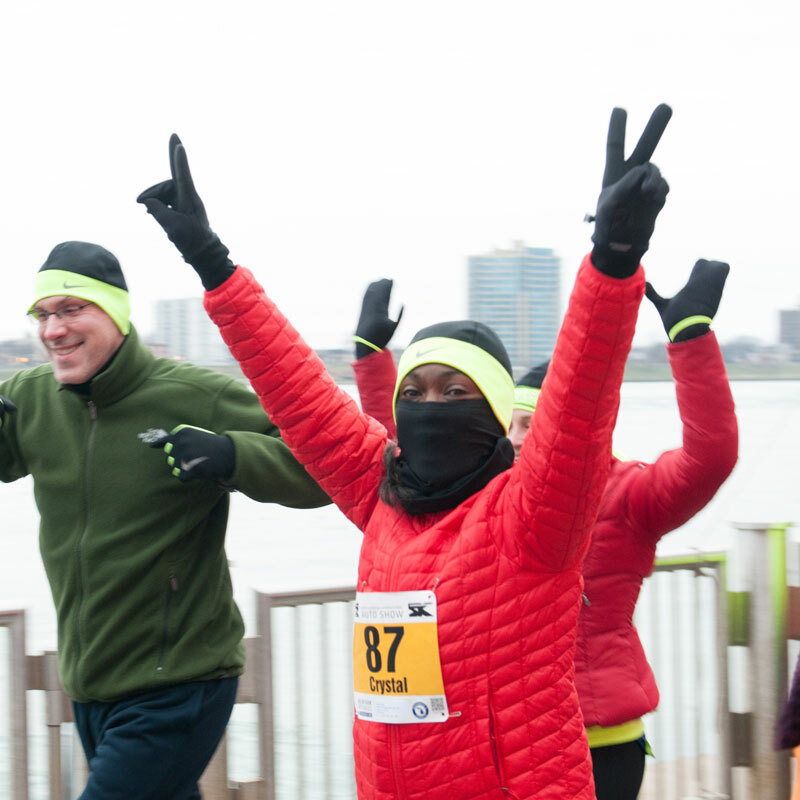 The course, flat and fast, runs along the Detroit riverfront and the newest section of the Dequindre Cut Greenway. Awards will be given to the top three finishers in each age category. All participants will receive a NAIAS 5K technical T-shirt plus a commemorative, auto-themed finisher’s medal. The race starts and finishes at the DNR Outdoor Adventure Center. Participants can visit the center after the race. Discounted tickets to the opening day of the auto show are also available for purchase. This event is sure to make for a family fun day in Detroit.